Lexington (NE)-based pharmacies, U-Save and Barmore Drug Store, will be operated under the name of U-Save beginning April 3, at 603 N. Washington St. According to Travis Maloley, who runs U-Save pharmacy, both pharmacies will serve people in surrounding areas where people would likely not visit any other local pharmacy. For customers’ convenience, databases of both pharmacies will be combined, and phone lines will stay the same. Prescriptions will be also filled by the personnel of each pharmacy since no one left during the merger process. Pharmacy owners, Travis Maloley and Mark Vogt, are among them. As for now, pharmacies help not only their customers but also students from the University of Nebraska Medical Center College of Pharmacy. Until May, when students are going to graduate, they may work at U-Save as interns, gaining experience and practical skills. 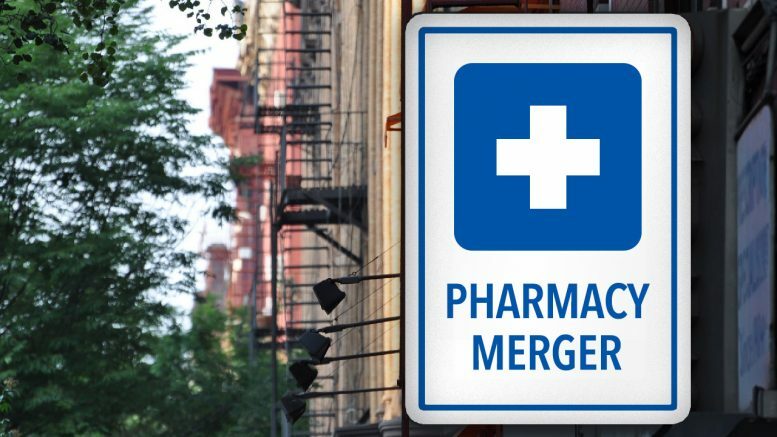 Maloley insures that customers will receive the same level of convenience, pricing, and friendliness they used to get in both pharmacies before the merger. One of the convenient features available for the customers is off-street parking and the drive-thru pharmacy. For automated refills, customers can leave a message after hours. On the top of that, a prescription can be delivered across the city, free of charge. As owners said, the selection of gifts and business supplies will be retained, so there is no need to worry, according to Maloley, as the selection and the quality will not be affected by the merger. Co-founders decided to sell gifts on a site across the street from Barmore’s pharmacy until another option next to U-Save pharmacy is available, approximately in May. According to Vogt, there were no any plans for the Barmore building, and he would be glad to see that it is used, noting that it also needs a repair. Maloley said that people still appreciate those kinds of services in town. He thought that people would be proud of the pharmacy’s actions after the merger. He pointed out that customers will see familiar faces, as the employees will be the same. Pharmacists now have more time for medication therapy management as more tasks have been centered by combining U-Save and Barmore Drug Store pharmacies. Maloley explained that medication management allows patients to receive the right medications in consideration with health conditions. Also, it helps to improve the outcomes of patient’s treatment. During the management, a pharmacist looks at the list of medications both prescribed and over-the-counter and checks if some adverse effects are possible because of specific prescription drugs’ interactions. With this approach, the number of health related issues can be prevented as well as additional payments for other healthcare procedures, doctor visits and medications. Maloley pointed out that pharmacists did it before and after the merger wish to do it even better. He stressed that this one is the true merger because U-Save doesn’t buy Barmore’s pharmacy. He also hopes that people will not regret that Barmore’s name is going away since its spirit that the pharmacy established is continuing after the U-Save merger. Barmore Drug Store pharmacy was founded in 1933 and had been at the current location since 1959. In November 2016, after 34 years of running the pharmacy, Rick and Mary Barmore sold the pharmacy to Mark Vogt who has been a pharmacist with 20 years of experience and has ties to seven other pharmacies in the state. The story of the merger between these pharmacies began when Maloley crossed the street and offered Vogt to help in scooping snow. After a while, they talked about combining their businesses. Vogt said that Maloley was nice enough to help him without any reason to do so. He said that it made an impression coming from their “competition.” Vogt also said that they became friends, and added that they have a pretty similar way of thinking. Maloley said that he was thankful for the Barmore family for their way of running the business and supporting the local community. He said that it was an honor to carry on their traditions, and pointed out that the only thing that will be changing after the merger is complete is the name and people will get the same service. He also said that he grew up in town and is a hometown kid and took pride in the community. Be the first to comment on "Merger of U-Save Pharmacy and Barmore Drug Store"